Panerai watches were known for a long time to have been exclusively used by the Italian Navy. Staying true to that DNA, the brand presented at this year’s SIHH new product concepts and experiences that immerse watch lovers in a deep ocean of timeless innovation. 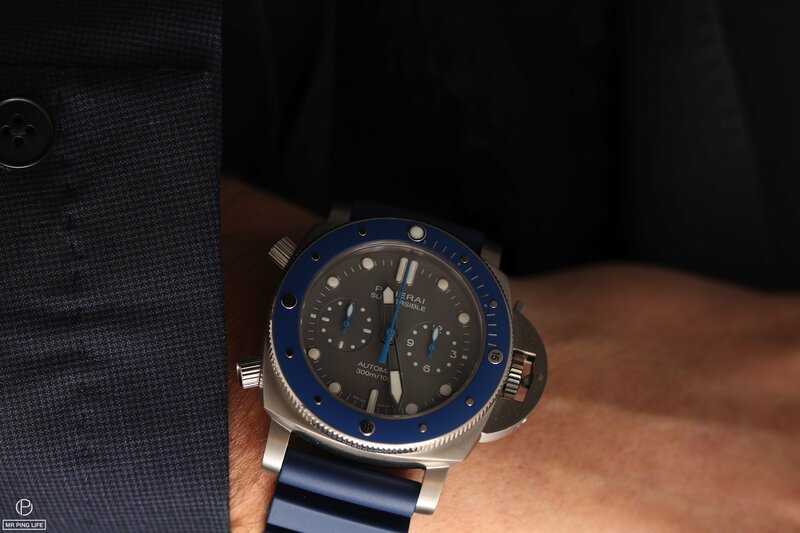 As such, the Submersible collection grows with new models in various sizes, inspired by diving, sailing and other exciting sea-related activities. 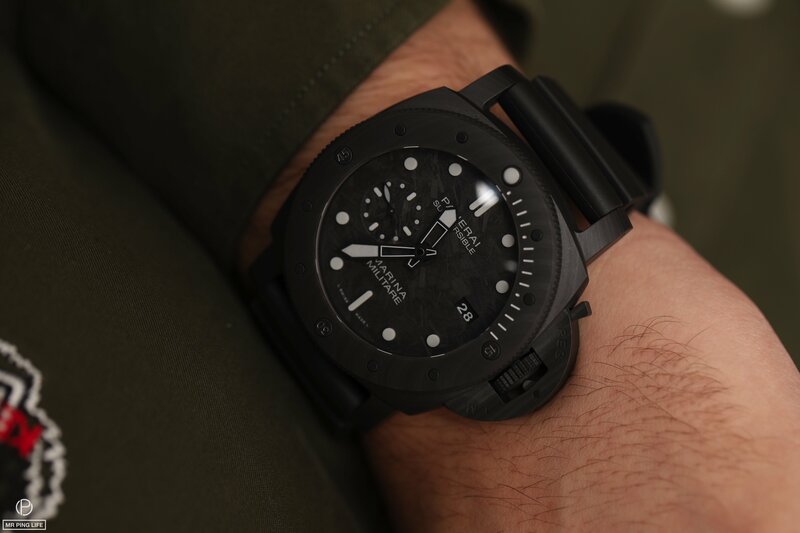 A professional underwater piece with remarkable technical characteristics and an unmistakable military look -for that cool underwater soldier style-, the watch is a real instrument for survival. 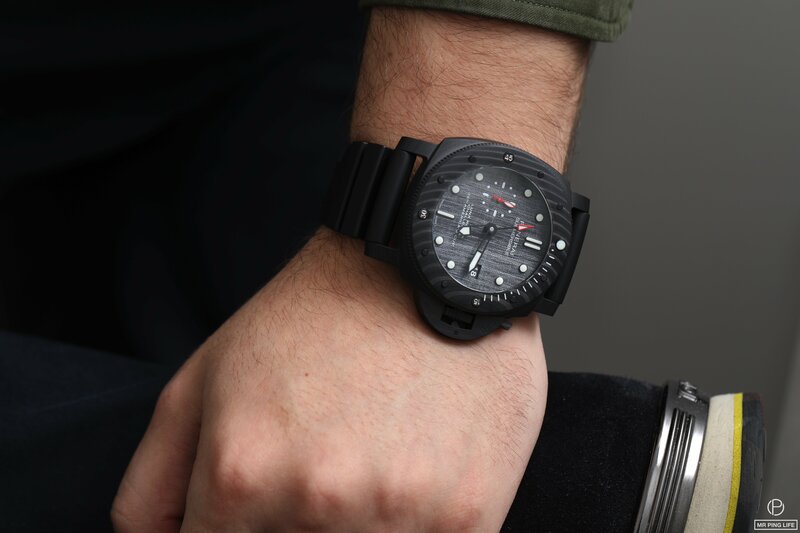 Initially conceived for the Italian Navy, the collection honors the latter with the image of a commando diver and the words “Survival Instruments” engraved on its back. 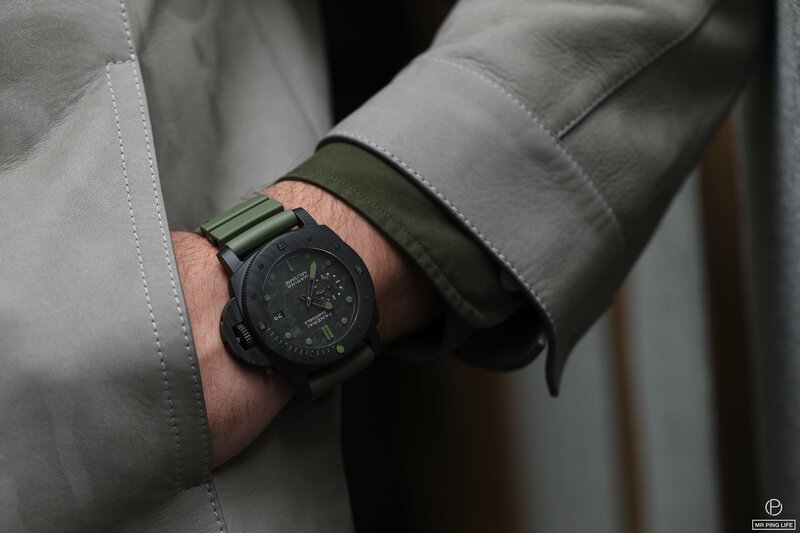 The 47mm case is made of carbotech, a material composed of extremely thin layers of carbon fibre, making it lighter titanium, stronger than stainless steel, and giving every individual watch a unique, unrepeatable camouflage appearance. That particularity is also translated in the design of the dial made of carbon. The unidirectional rotating bezel enables the times of immersion to be calculated accurately, with complete legibility in the dark ensured by the heavy grey Super-LumiNova® coating on the markers and large skeleton hands, a fundamental need for every professional diving watch. The black rubber strap is also very sturdy. The Panerai Manufacture P.9010 calibre beating at the heart of the piece gives it a power reserve of three days. So, dive in and let the good times flow! The Guillaume Néry Editions are professional diving watches embodying the world of Freediving World Champion Guillaume Néry. Proving exceptional technical performance, the sporty-looking pieces -with their strong, deep-sea blue and a confident shark gray- boast a water-resistance of 300m, a feat that is surely appreciated by highly experienced divers. The titanium case and bezel are made of ultra-strong and corrosion-resistant titanium, preserving a light weight that enables the wearer to maneuver without encumbrance. The caseback holds an engraved artistic rendering of Guillaume Néry free diving, as well as his signature and the 126m depth of his final record dive. This is one serious watch, for serious divers who take time seriously. The new Luna Rossa watch was designed for the Luna Rossa Sailing Team. Led by Massimiliano “Max” Sirena, the Italian team is the Challenger of Record to the 36th America’s Cup. Another instrument for life at sea, this first watch celebrating Panerai’s partnership with Luna Rossa boasts a case made of carbotech, which is also used in the production of the AC75 monohull on which the team will be competing. A picture of the yacht is engraved on the titanium caseback. 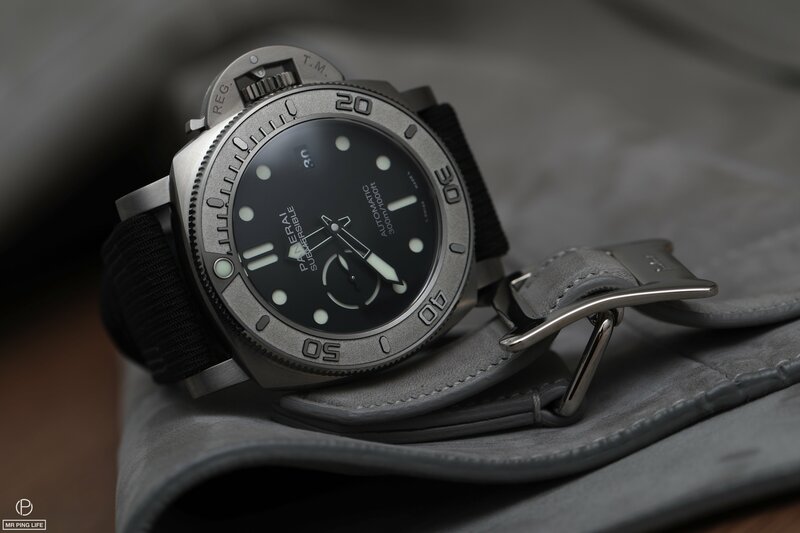 Panerai lives up to its oceanic horology expertise reputation. The new collection in its various models brings large yet lightweight watches worthy of the most courageous divers.